← A $6 Billion “Bitumen Bubble”…Really? Aurelio Zen is a Venetian policeman headquartered in Rome. His reputation for integrity is a serious handicap to promotion within a treacherous political environment. His creator, Michael Dibdin, uses the Zen series to illustrate the inequity of a corrupt society where moving ahead with anything depends on who you know and what you can do to further their ambitions. The underlying theme—that corruption is acceptable and commonplace—is frightening to those without the power to pull in favours to achieve their goals. Right, let’s set aside Zen for a moment and turn to the latest Tory brouhaha—the Chief Electoral Officer’s finding that the PC party and some of its constituency associations violated the Election Finances and Contributions Disclosure Act 45 times since March 2010. 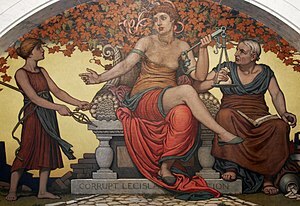 Section 35 of the Act makes it illegal for political parties to (1) accept direct contributions from a “prohibited corporation” (eg school boards, post secondary institutions, charities, provincial or municipal entities) or (2) accept indirect contributions from a prohibited corporation made by their employees and reimbursed by the corporation. Of the 45 violations, 24 were direct contributions by a prohibited corporation and 21 were indirect contributions by employees of prohibited corporations. In both cases tax dollars intended to fund a public entity were siphoned off into the Tory re-election war chest. The PC party is prepared to repay $17,000 in illegal direct contributions and has hinted that it may even voluntarily repay up to $100,000 in illegal contributions collected prior to Apr 2010, but it is bucking the Chief Electoral Officer’s ruling that it must return the illegal indirect contributions and wants those funds back. Now here’s the part that would pique Zen’s interest. The total amount of indirect contributions is only $6900! An amount that pales in comparison to the $17,000 of illegal direct contributions let alone the $100,000 voluntary repayment. Kelley Charlebois, executive director of the PC party, says it’s a matter of principle (chortle, sorry, editorial guffaw). He argues that the PC party didn’t know that the $6900 came from illegal indirect contributions and therefore it’s up to the donor, not the party, to pay it back. He appears to be relying is on “finders keepers” principle or perhaps the “possession is 9/10ths of the law” principle, as opposed to the “rule of law” set out in section 35 of the Act. The only way Mr Charlebois can succeed with his argument is if he can show that the party did not know or ought not to have known that the contributions came from prohibited corporations. As an aside, under corporate law even if a corporation did everything possible to prevent an act of fraud it still has to pay the fine and “disgorge” (a quaint legal word for “return”) the ill gotten gains. So the gosh-I-didn’t-know-it-was-happening excuse doesn’t cut it. If Zen were on the case his next step would be to interview the employees of the prohibited corporations to get their side of the story. I see. Instead of picking up the phone and setting up a meeting with Doug Griffiths the Minister of Municipal Affairs, it’s acceptable to take taxpayer dollars out of a public entity’s bank account for a PC fundraiser. Furthermore, this fundraising/lobbying effort is “common practice” and a “necessary thing”. At this point Zen would raise a skeptical eyebrow. There is only one explanation for PC party’s fierce defense of its right to keep the $6900 in illegal indirect donations, and in the process throw some small time public officials under the bus—there’s one heck of a lot of money at stake. Zen would now start looking for the wild card. He’d focus on the yet-to-be-completed investigation of the $430,000 contribution from Mr Katz. You’ll recall the PC party divided Mr Katz’s generous contribution into smaller contributions of $30,000 or less and identified them as separate donations from Mr Katz’ corporation and family members. True, the $430,000 Katz donation doesn’t violate the law against accepting contributions from a “prohibited corporation” but it may well violate section 19(1) which prohibits the PCs from accepting a contribution they knew or ought to have known would exceed the legal limit on donations. In this case the Chief Electoral Officer can make the PCs pay it back and that would be one heck of a hit to the bottom line! Zen has his own definition of corruption which gives him some latitude to fast track a buddy’s building permit (he is Italian after all) but Albertans live by a stricter definition—corruption is an impairment of integrity, virtue, or moral principle; this includes obeying the law. Period. One final point, if the concept of indirect contributions is so difficult to grasp then the Chief Electoral Officer would have uncovered violations not just on the part of the PC party but also by the Wildrose, the Liberals, the NDP, the Alberta Party and the Greens. And yet, not one of the other parties or their constituency associations violated this prohibition. I wonder what Detective Zen would make of that. This entry was posted in Politics, Politics and Government and tagged Aurelio Zen, Bill Robertson, Chief Electoral Officer, Corruption, Larry Spilak, MD of Foothills, Okotoks. Bookmark the permalink. Thanks for explaining the electoral contributions tempest in the teapot. I was puzzled why they were asking to keep those illegal indirect contributions (I just thought they were broke). But now I understand this is a defensive preemptive strike before they are asked to fork over megasums of cash given by Katz and crew. I thought Katz and crew were off the hook because they had done long division and made sure each putative donor had given a tidy $30,000. But perhaps this was not the case and in reality –Mr. Katz (shock, gasp, wheeze) gave the entire sum to the Katz Krooks we have in power. Well darn it —I was wondering why we had so much love in Edmonton for the Katz arena project. Not only do we have Katz Krooks in the Alberta legislature but we have Katz Kouncillors in Edmonton city council. Soon I will have to watch my sons so that they don`t morph into Katz Kids. Thanks for explaining the puzzle about the fuss over returning the indirect contributions (illegal). I sure hope they don`t keep contesting this matter based on ethics or principals. It adds to much dissonance into the minds of citizens when they start to play with our minds like this —and soon we might all have our brains explode with the florid nature of their imaginative capabilities. Really I never thought politics was so interesting. I never thought that politicians had such vivid corrupt lives (I thought this stuff just happened in Dickens novels). But maybe this is only the case in Alberta. Perhaps other provinces actually have a democracy and most civilized nations are not a dictatorship. Sigh. I just hope this sinking ship won`t spring any more leaks. Julie, there’s certainly no lack of Keystone Kops behaviour on the part of the PCs. It’s a new adventure every day! I can’t wait to see what transpires when they roll out the new budget. You made a very astute point in your comment about “dissonance” in the minds of citizens. Many Albertans are overwhelmed by the stuff that the government throws at them as they spend their days trying to make a living, raise kids and take care of elderly parents that it’s very hard to stay abreast of the government’s latest shenanigans. That’s why it’s so important for us to bring these little snippets of reality to the attention of others. PS I don’t think your sons will ever morph into Katz Kids…they’ve been raised too well! Susan another important post as usual. Although I did not know about the details, this was no surprise to me. 45 violations and they may get a warning from someone that cares and forward we move. A litlle spin here and there to keep the crowds thinking they have a government and, as before, paradise continues for those who own it. After a period of careful reading on investments and finances in Canada and the US, including one article on the US titled ‘What’s Inside America’s Banks?’ by Frank Partnoy and Jesse Eisinger on the Atlantic magazine (January/February) and one on Canada titled ‘Canada’s Secret Bank Bailout: Canada’s banks lavished with $114 billion in government aid’ by David Macdonald of the Canadian Centre for Policy Alternatives, I have to confess that I am starting to believe that what is happening is actually Neo-Conservative Economic policy. Just like the Shock Doctrine, very well explained in Naomi Klein’s book of the same name, it does seem that this collapse /bailout and allowing the very rich to get away with murder is also part of their belief system. It is not very difficult to believe this to be correct if you take in consideration that basically no one was charged with anything. The banks are now functioning with public money and nothing has changed since. Regulations have not been altered and other than spin after spin not much was actually done and the party continues. So this in Alberta is just a little joke in the whole process of legally allowing people to ravish our savings and our assets and do whatever they have in mind without any concerns for law or consequences. Of course there are never any consequences. If the PC party accepted illegal donations and acted against the law they should be punished severely. This is not a joke, this is a rule that, keeps the election process running as fair as possible.If these ru;es do not matter to the PCs, should be banned of the elections period. That last sentence just like the election rules got corrupted when I copied it. Should read – If these rules do not matter to the PCs, then they should be banned from elections PERIOD. Carlos, thank you for the references. You’re absolutely correct about how little progress has been made in regulating banks and financial institutions. By the time draft regulations like Sarbanes-Oxley and Dodd Frank work their way through the US House and Senate they are pretty watered down. The lobby groups are very powerful and can drown out the voices of ordinary citizens. That’s why it is so important for us here in Alberta to insist that that all of the political parties comply with the law. I’m impressed with the way that the media picked up this story. I only hope that the voters pay attention. There are a lot more cash drains the rules don’t touch! Some examples would be 3000 dollar plate dinners for the Tory fundraiser through out the year where the Alberta Health Authority, Airport and like interests by not just one ticket but tables of 10 seats! Good point. Just imagine what we would discover if we were able to carry out a real investigation into the “common practice” of indirect contributions. 45 violations. Even someone, who knows absolutely nothing important about politics, says “45 violations” are not an oopsy. No one is going to believe that they “did not know” they were doing wrong. End of comments. Thank you for continuing to enlighten us, I appreciate your push forward. Those of us who don’t know the full scope of the law appreciate the insight. Rose Marie, the beauty of this situation is that it exposes the PC party’s flawed thinking. Jim McCormick, party president, says it’s “unfair” that the PCs should be required to return the $6900 because they “accepted this money from individuals primarily in good faith…[and] think the onus should be on those individuals rather than either the prohibited corporations or ourselves”. Calgary Herald, Jan 31, 2013, pA4 It’s clear from his comment that he’s made no effort to familiarize himself with the legislation which clearly places the onus on the PC party. So I’ll lay it out again for Mr McCormick–the PC party cannot accept donations when it knows or ought to know that the donations were illegal. Every other political party figured it out…why can’t the PCs? Susan just to finish up this week excellent blog, the PC figured it out no problem. Rose Marie is absolutely correct that 45 violations is not a oopsy. They knew it and they chose to violate the law. Anywhere where people respect the law, they would have been seriously penalized and probably more, but we think it is fine and we just move on as always. You know this is a sign of something way more serious which is our aloofness towards this kind of corrupted mentality. We are becoming immune to bad behaviour especially from our own leaders. We just witnessed this week what is happening in our Senate. The PC government never ceases to amaze me. When I started reviewing the Preferential Access (Queue Jumping) Inquiry transcripts I was struck by how many PC politicians resorted to evasion and non-answers when faced with a difficult question. I’m going to do a blog their testimony (it’s quite funny in some places) when the Inquiry is finally over. We need to stay with it and expose these behaviours each and every time we catch them. Thanks for your support Carlos.